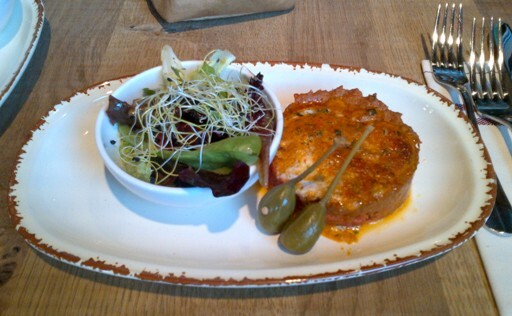 The “Beef tatar escalloped with Café de Paris” (CHF 21.00) and toasted bread was of intense taste, had a good consistency and the Café de Paris all over it provided it with a very strong flavour. 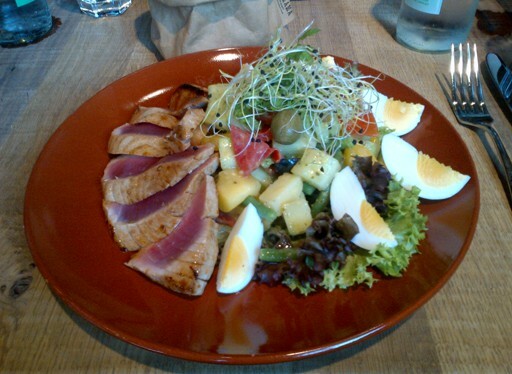 As a main course, I had the “Salad Niçoise with Yellow Fin tuna, green beans and bio eggs” (CHF 27.00) which was fresh, had a nice variety of different ingredients, a light dressing – and most importantly, the yellow fin tuna was incredibly aromatic! The prices are rather fair for Zurich and the quality of the dishes is good – the same applies to the beverages (espresso, CHF 4.50; water 0,5L, CHF 6.50). But the place is also great because of its atmosphere. The main ingredient of the design is bright wood – beautiful to look at. And somehow the cushions are having a used-look which perfectly fit to the environment. The service is rather quick, friendly, and provides you with what you need and want within minutes. And this although the place was more or less full. Personally, I can absolutely recommend the Restaurant Loft Five as the place is quite nice, has tasty affordable dishes and good service. Reservation highly recommended during lunch hours. 1 Comment on "27. 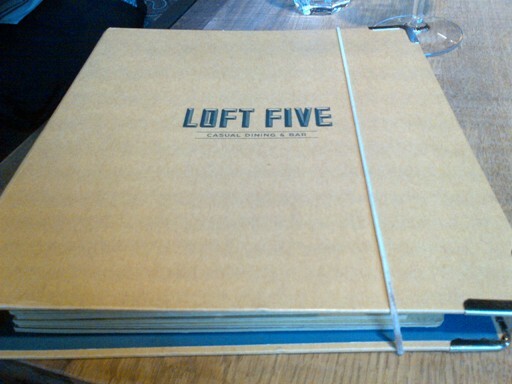 September 2013: Restaurant Loft Five"